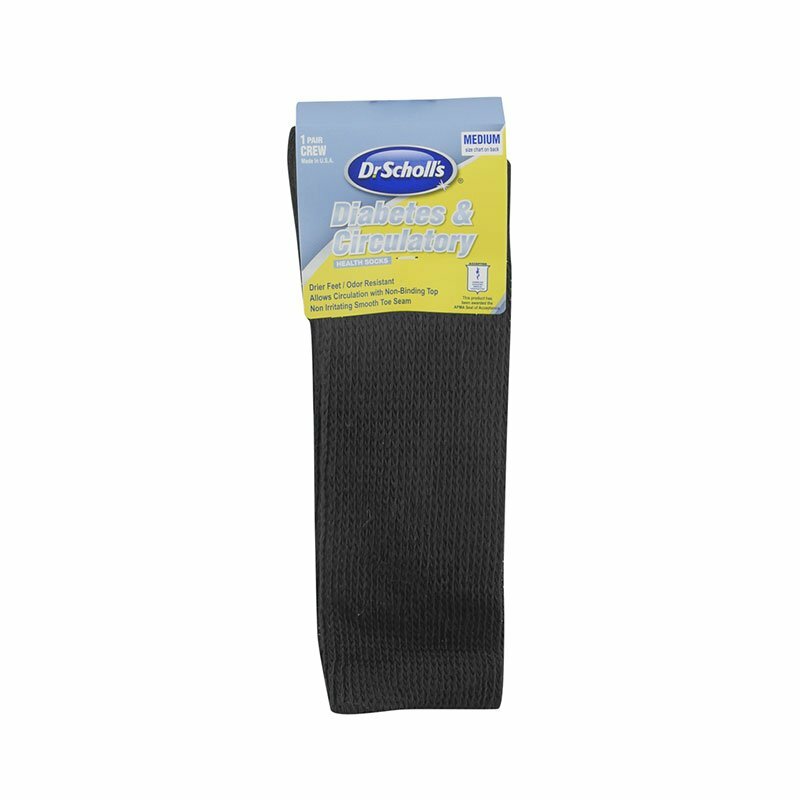 Enjoy the comfort of Dr. Scholl's Diabetes & Circulatory Crew Socks Black XL that feature a non-binding top to allow circulation, moisture management yarn to keep feet dry, anti-microbial treatment to eliminate odor, seamless toe and cushioned sole for added comfort. 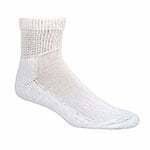 This diabetic sock is APMA approved! My bf is a court officer and stands on his feet all day. 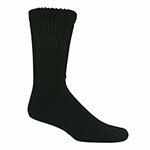 He used to make grunting noises when he removed his boots 'cause his feet hurt. Now, no more grunting!